How’s that Double Knitting Going? 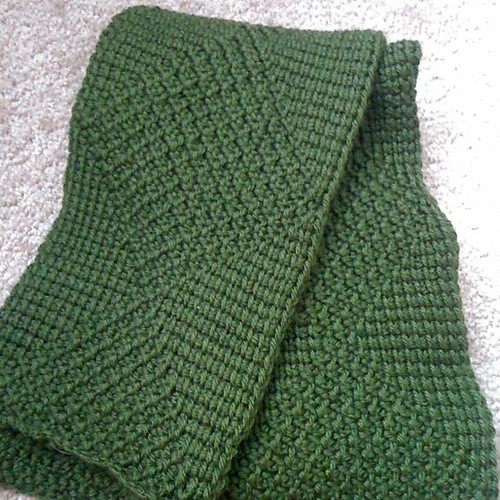 Last blog post, I said that I wanted to master double knitting. For my geek’s traditional Valentine (a knitted QR code), I went with double knitting. It was a good refresher on the technique, but it also took me longer than I’d anticipated, so I ended up knitting the end of it sitting next to him on the couch on Valentine’s Day! Ah well. I still have to block it, which can make or break whether the QR code works or not. I have been running quite a bit more other than this past week. I have the last halfathon of the Florida Halfathon Challenge to finish in March, so I need to keep at it! It’s been unseasonably cold this month, which I normally love. I just haven’t wanted to get out for a run first thing in the morning when it is in the low 40s, though. Such a wuss, I know! Brave New World by Aldous Huxley – You would think that I’d have read it before now, but I hadn’t! The first half was really tough getting through – you have to forge through the materialistic fluff before the story deepens and it becomes a worthwhile read. I’ve also got my Good Luck sweater close to done – just need to knit the sleeves. I debated on how I’m going to do them, but I really think I just want to knit plain white stockinette rather than following the pattern. Next project is this hat, which looks like it will be tons of fun! Very simple pattern that would show off a pretty yarn very well. Adorable little top for up to 6 months! 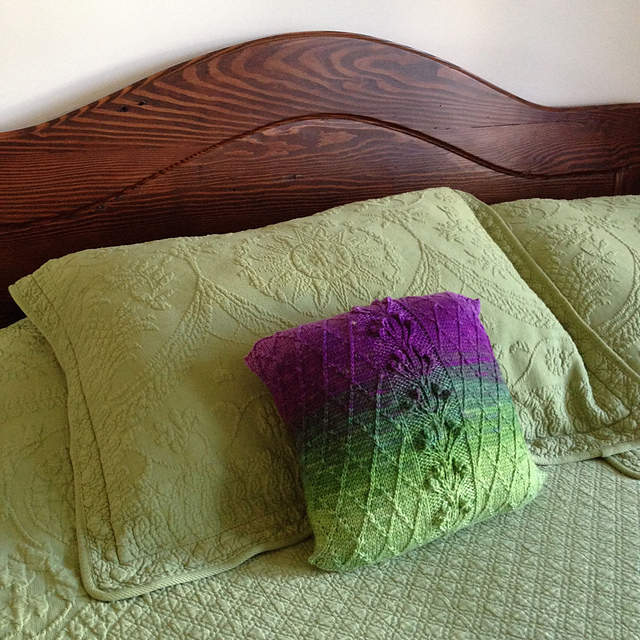 How about a pretty pillow for your bed? It’s so pretty, you won’t even mind the bobbles (LOL)! 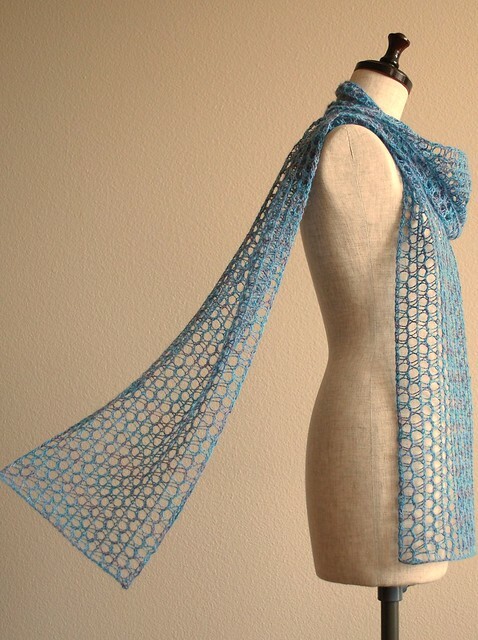 Lovely & airy scarf for when the temps start warming up! Simple but eye catching pattern – I love these! What are some of your favorite one skein sock yarn patterns? 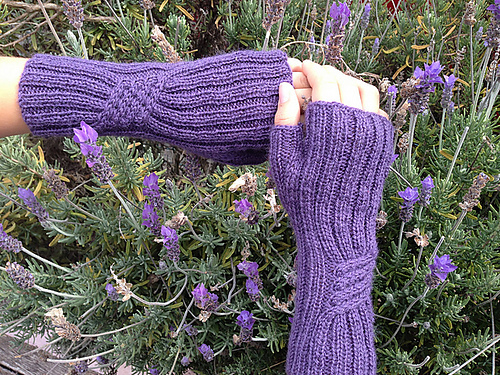 This entry was posted in Running and tagged Free Patterns, Knitting, One Skein Patterns, Reading, Running, Today's Ravelry Search. Bookmark the permalink.